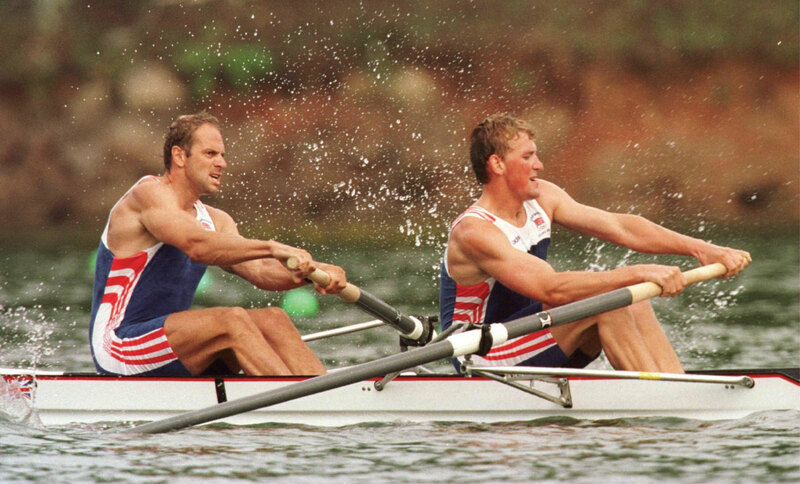 This is a picture of Steve Redgrave and Matthew Pinsent winning gold at the 1996 Atlanta Olympics – Redgrave’s 4th Gold in successive Olympics – inspiring! I grew up in the shadow of an Olympian – my father. He was pretty good at accomplishing big goals, and even better at pushing himself when things got hard. He coached me when I was in high school rowing, and inspired me to push to the top of the sport as well. One thing that has always stuck in my head was my dad telling me to turn the weakest part of my race into my strongest. In rowing, often the hardest part of the 2000m race, and one that is predictably many a rower’s weakness, is the 3rd 500m. In fact, the third quarter of any physically or mentally challenging endeavour is often deemed psychologically the most difficult. Why? Well… you have only just passed the halfway point, you are already exhausted and you just can’t imagine repeating the same distance, at the same intensity, without collapsing first. At least in the final quarter, you can sniff the finish line and you will find that little bit extra to keep going. I work with Fremantle FC in the AFL (Australian Rules Football). In the AFL, the third quarter is referred to as the “Premiereship Quarter” – for obvious, similar reasons to rowing – whoever can get through the third quarter’s physical and mental challenge better than their opponent is most likely to win. The idea of turning weakness to strength, is a psychological trick that demands deliberate choice and extraordinary effort in the face of massive physical and mental resistance. Many times in my life, I have applied this idea of playing tricks with your mind, to consciously choose to do what is unnatural in the face of a pain, challenge, stress, and demands… and I have found that you can achieve so much more in those moments if you do choose to think differently about the challenge. Moreover, if you have made it a habit to keep choosing the harder path, to push harder against the grain, at that point where you feel weakest and when most people give up, you will find yourself consistently stepping up to new and unexpected challenges in all areas of life, not just in that one activity. What can you do in your life? Find a place where you have declared something is too hard, or where it might be deemed normal to back off the effort a bit… and choose to think about it differently, decide to feed off the pressure and the challenge, play tricks with your mind and tell it to use fear, fatigue, and feelings of quitting as reminders to go a bit harder. Turn weakness to strength and you will have a distinct advantage over those who give in to the pain and stress of those tough points in life. While my biggest challenge right now is at work, you’ve given me some great ideas on dealing with my 3rd quarter there. Thank you for this post. Thanks for the comment! You are welcome for any tips that were helpful. Don’t hesitate to ask any further questions! Pingback: Mental Toughness: Turning Disadvantage to Advantage | Go, Leader, Grow! Hope all goes well in your world! Neat insight about the 3rd quarter. I was taught to believe that 4th quarter is the hardest but I appreciate the new perspective. Came across your Tedx talk yesterday and finished watching it today and really really enjoyed the passion you had. Bookmarked your blog and looking forward to new posts from you. Keep up the great work Doc! Good to hear that you liked the TEDx talk. Thank you for following me. Stay tuned because I will be launching my new website soon as well!